This bathtub can be tucked into a corner and is ready for you to enjoy. Hold on to the hand-bar and step into the warm bubbly water powered by a 1.2 HP pump. Lay back on the cushioned adjustable pillow and feel your tensions evaporate with the steam. 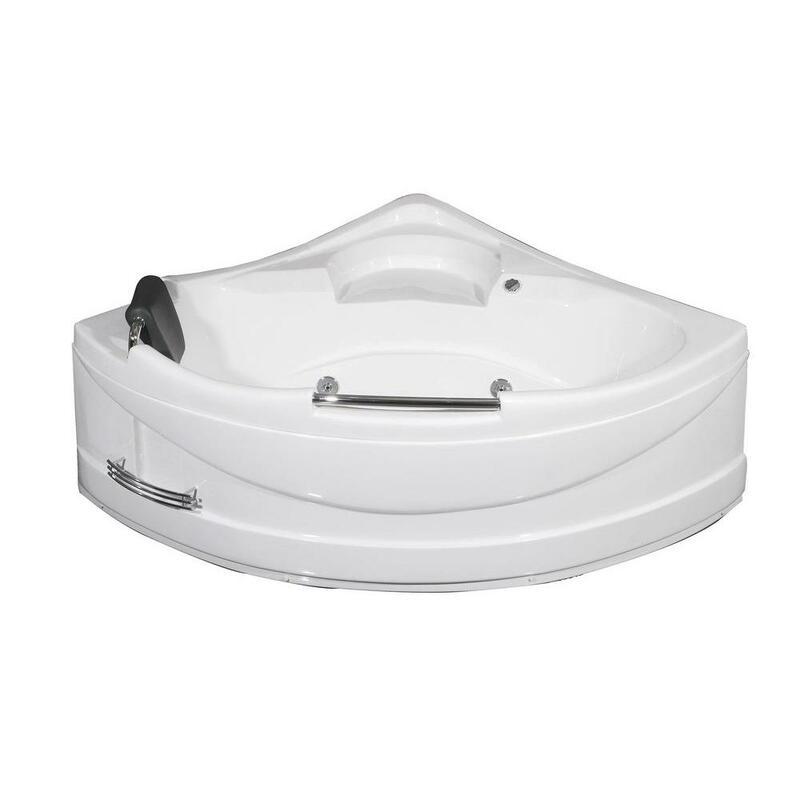 If you get too warm, a cool down seat is included in the tub design. 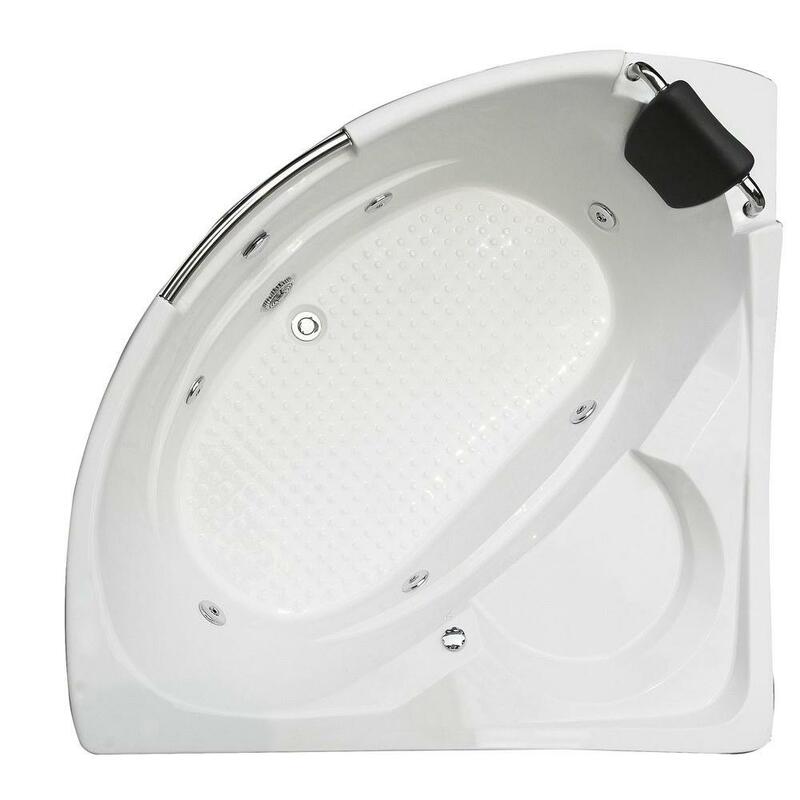 Equipped with on/off air switch you can easily control the 6 multi-directional hydro-massage body jets for your bathing pleasure.